Noori & SOCH performing Live in Peshawar ! 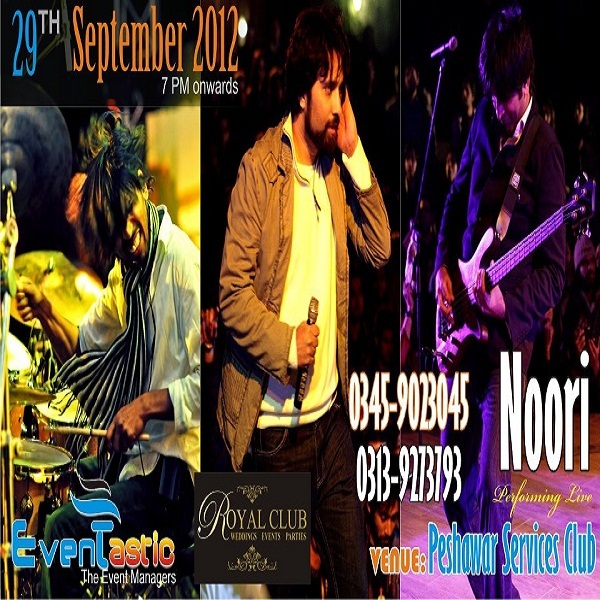 Eventastic Presents "Rock Night of the Year" in Peshawar. GUZEL - University town Peshawar. Wadood Sons - Hayatabad & University Road. Cash N Carry - Saddar Road. Note: Peshawar Club members & Defense families can get their tickets from Peshawar Club on Special Discounted Price. Event is exclusively for families Only. However students and On Job Males will be allowed if they prove their identity with Student/Employment Card. Stalls and Sponsorship Opportunity available on flexible terms.